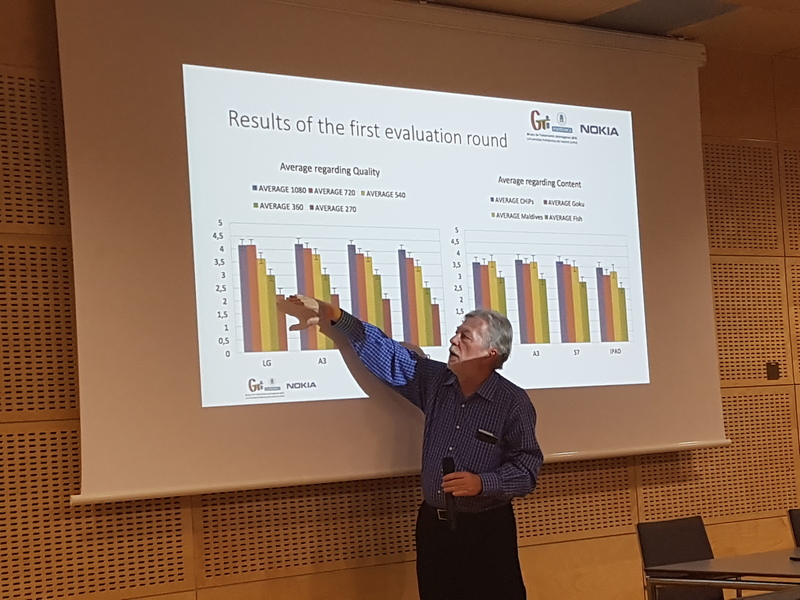 At the 2017 autumn VQEG meeting in Krakow (Poland), Narciso García presented some results on device characterization for content adaptation, outcome of a project with Nokia Bell Labs. A multimedia delivery based on Nokia conditional encoding was considered for mobile devices (smartphones or tablets) characterization. A new resolution ladder keeping the 16:9 frame aspect ratio along the scale was used. Multimedia consumption in isolation from the environment through the use headphones was assessed on three smartphones and one tablet. Preliminary results confirm the adequacy of the use of the resolution ladder and show possible biases due to repetition and personal preferences on device characteristics and well as the influence of content selection. The results prove the usefulness of preliminary exploratory rounds in new scenarios. So, according to the two-step assessment methodology, a modified test activity will be prepared and conducted.